Hi, this is Mike Adams, the Health Ranger. I'm a hard-core patriot and an award-winning journalist who specializes in researching and reporting natural cures for degenerative disease. I used this knowledge to reverse my own pre-diabetic condition over ten years ago, and I've stayed healthy, fit and productive ever since. If you're going to survive the coming economic collapse and the rise of the police state (which I've written about countless times), YOU NEED TO BE HEALTHY. You need a powerful immune system, high mental alertness and physical stamina and endurance. You need to be able to deal with the stress of the global collapse while keeping your immune system strong enough to deal with whatever bioweapons might be released by governments or other terrorist groups. And remember: In a collapse scenario, you will likely not have access to prescription drugs, pain pills or doctors. That's why it is crucial to teach yourself how to live without medications, without doctor's visits and without depending on the medical system at all. Any crisis causes stress, and high stress depletes nutrients as your body works to adapt. When you have improved nutrition (more trace minerals, more nutrients, more antioxidants), you will experienced increased alertness, improved endurance and enhanced decision making. You'll also be better able to handle stress, and that's crucial in a crisis situation (as you'll see below). If you're dependant on prescription medications today for controlling blood pressure, cholesterol, blood sugar or anything else, keep in mind those medications will almost certainly NOT be available in a serious crisis. In fact, even insulin vials may all go bad if the electricity goes out (because they need to be refrigerated). Being dependant on medications today makes you vulnerable during a crisis of any kind; a 5-day ice storm, an earthquake, social unrest, nuclear accident and so on. Isn't it better to find ways to eliminate your need for medication so that you aren't stuck in a medical emergency when supplies are cut off? Through changes in nutrition and food choices, most people can eliminate the need for medications with the help of a qualified naturopathic physician. All the material items that you might own for preparedness -- gold, silver, ammunition, firearms -- can be stolen from you by thieves (governmental or otherwise). Good health, on the other hand, can never be stolen! Plus, good health is super portable (you always have it with you), and it can't be purchased. Even Steve Jobs couldn't buy good health, which is why he died a multi billionaire with a failed liver and pancreas. Protecting your health is cheap compared to the cost of being sick. And good health means more than just buying storable food -- you've got to have storable nutrition that provides the plant-based vitamins, minerals and nutrients that support lasting good health. Even if you lose everything in a crisis -- like a house fire or flood -- if you have your good health, you can regain everything else with the application of time and effort. Good health gives you the physical and mental capacity to actively rebuild, earn money or even plant a garden and grow food so you have something to barter. Here's a blunt truth about all this: If you're in a wheelchair or you're bed-ridden due to health concerns, you are going to require extra care and attention from others around you. That doesn't mean you can't contribute in your own way, of course -- many people in wheelchairs are totally capable in lots of ways such as keeping watch, helping with food preparation, planning group strategies and many other things -- but wouldn't it be better to not have to depend on someone else, if possible? It is my belief that the vaccine industry uses vaccines to release infectious disease into the population, thereby causing outbreaks of things like measles which can then be used to scare up more business for vaccines. Even the Institute of Medicine, by the way, admits that MMR vaccines contain live viruses and cause measles! We already know that governments use vaccines to cause infertility and reduce the population. At some point, I believe the government will conspire with the vaccine industry to introduce a highly infectious bioweapon that will set off a global pandemic. There is already evidence that e.coli food scares have been engineered in a lab. A bio-engineered viral pandemic could be in the works, too. How will you survive that pandemic? Getting vaccinated is obviously the wrong answer. The right answer is to have high levels of vitamin D, zinc, and other immune-enhancing nutrients circulating in your blood. 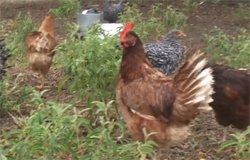 These nutrients offer extraordinary defenses against infectious diseases such as influenza or H5N1. When the next great pandemic strikes -- whether it is created by governments or nature -- only those who have healthy, functioning immune systems will survive. A pandemic could very quickly "weed out" unhealthy people across the population, which might be exactly why governments would welcome such a pandemic, by the way. What better way to reduce Medicare and social security expenditures than to just knock off one-third of the elderly with an engineered pandemic virus spread through vaccines themselves? Reason #7) Good health gives you a crucial edge in personal defense - including night vision! Most of us realize that the risk of facing social unrest or looting is a very real possibility in an economic collapse scenario (or war, revolution, etc.). Many of us have tools with which to defend our children, our homes and our communities. Those tools -- whether they be crude instruments like baseball bats or highly-refined instruments such as battle rifles -- require a healthy, functioning nervous system to be used effectively and safely. Being "effective" with any self defense tool requires accurate vision, depth perception, hand-eye coordination, steady nerves, controlled breathing, fast recovery from exertion, and so on. And guess what? All these things are greatly enhanced with nutrition. Fat-soluble antioxidants, for example, protect the entire nervous system, from the nerves that control your trigger finger to your brain cells. People who lack magnesium in their bodies tend to have muscle "jitters," which can throw off motor control and cause heart palpitations under stress. Nutrients are also crucial for possessing enhanced night vision. Seriously: If you can't see well enough at night, it could be caused by a simple nutritional deficiency that's easily corrected. Eye health, vision and nervous system function are all tied to nutrition. I used to be borderline obese. And being obese means we burn more calories every day just to walk around, pump blood, and support a heavier body. With the help of superfoods and exercise, I got fit and healthy (and that was over 10 years ago). Now, I know that I can run on less food each day because a slimmer body needs fewer calories! And that means the food I've stored will last longer in a crisis. Of course, body fat itself is a form of stored calories, so it's fine to carry around a bit of body fat. You don't have to look like a professional athlete to be healthy. Just avoid getting into that "overweight" category, and if you're there already, turning to nutritious foods is one of the easiest ways to slim down. Habitual eating is often caused by mineral deficiencies. Your body stays hungry and makes you eat more because it's searching for minerals that are missing in processed junk foods! Once you start to remineralize your body with high-mineral, organic superfoods, you'll find the food cravings disappearing. Here's a really important reason many people don't think about much: A crisis scenario is likely to involve physical injury sooner or later. You might cut yourself while constructing something, or you might be injured in a confrontation with crazed zombie looters (did you remember to bring your flamethrower?). Understand this: The rate at which your body heals is largely determined by your nutritional status. When you have high mineral content in your diet (zinc, magnesium, chromium, etc. ), your body can heal up to 400% faster than a person who is low in these minerals. Could this make a huge difference in your survival during a crisis? Absolutely! Fast healing abilities might very well save your life. There's more to life than just "surviving." We also need to stay healthy enough to procreate and have healthy children who can go on to rebuild civilization based on principles of liberty. Today, our DNA is under attack with GMOs and vaccines, both of which damage DNA and promote infertility. If you want to maintain the ability to have healthy babies and procreate after the collapse, you (and your children, if you already have children) will need high-end nutrition that supports healthy DNA and strong fertility. Did you know the average sperm count of a human male today is only one-tenth that of a mouse? Even goats and sheep have far higher sperm counts than the average human male today. Bluntly stated, if you want to have healthy sperm, you need to eat nutritious superfoods. Regular processed foods just won't get the job done. And it's no joke to say that the future of life on Earth belongs to those who protect the integrity of their DNA and can give rise to healthy offspring. Those with damaged DNA will obviously be giving birth to mutants. (Not a joke.) Don't be a mutant. Protect your healthy DNA with superfoods. 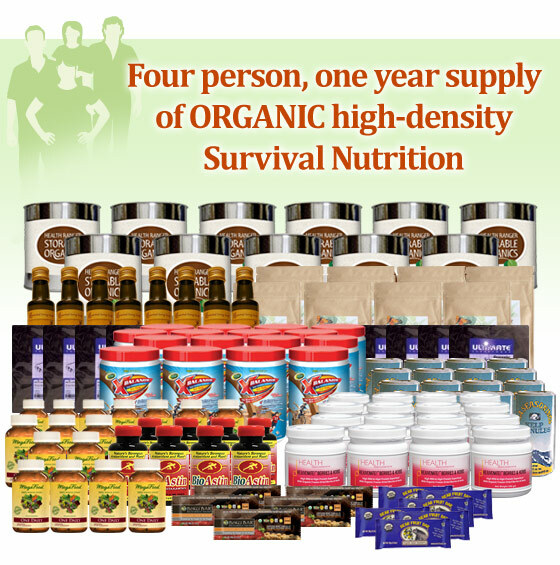 Get some Survival Nutrition now! Below, you'll find three "nutrition preparedness packs" that provide very high nutrition (superfoods, supplements, all very high-density foods) for 90 days, 6 months or one year. 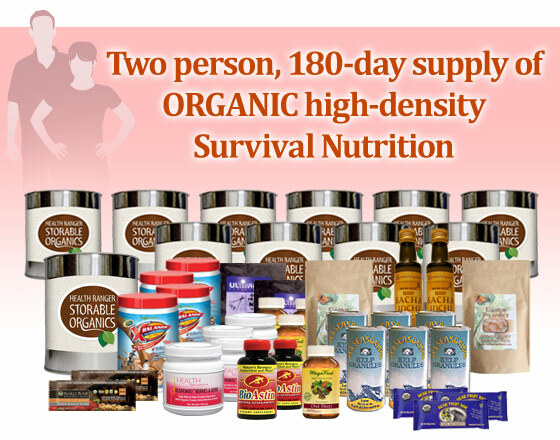 These Survival Nutrition packs offer the best value on superfoods nutrition available anywhere. Scroll down to see these, below. Carefully formulated by the Health Ranger to provide very high nutritional support for surviving any crisis. Many of the items are packed in long term storable steel cans for extended shelf life. All our items are GMO-free and nearly all of them are certified organic (so they are virtually free from pesticides as well). Remember, if you're being food that isn't certified organic, it probably contains chemical pesticides. These are not "meals" but rather "supplements" to provide nutrition on top of whatever else you're eating to acquire basic calories. We recommend storing grains, dried potatoes, quinoa, brown rice and other high-calorie grains in addition to these Survival Nutrition packs. I cover even more details on these points in my free audio program entitled "More Valuable Than Gold - Why Your Health Is the Key to Surviving the Coming Collapse," you will learn my top recommendations for what I call "survival nutrition." LISTEN TO MY AUDIO REPORT by clicking the PLAY button below, or you can download my MP3 file by clicking here. In this audio report entitled "More Valuable Than Gold - Why Your Health Is the Key to Surviving the Coming Collapse," you will learn my top recommendations for what I call "survival nutrition." You will learn both STRATEGIES and recommended PRODUCTS that will help keep you alive and healthy during any crisis such as a natural disaster, power grid failure, solar flare, terrorism attacks (and false flag government attacks), riots, severe storms and a whole lot more. Listening to this audio program is FREE. 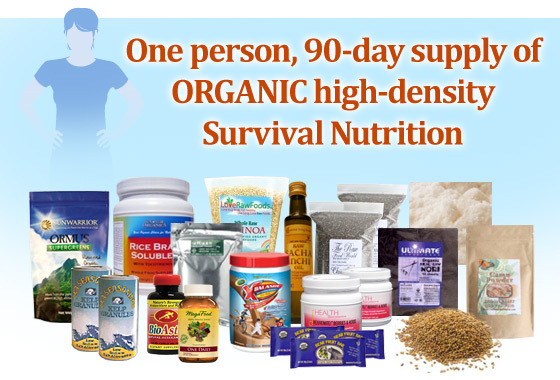 Most of the products listed below are offered by the NaturalNews Store, and many are discounted specifically for this Survival Nutrition offer. Many products are offered in long-term storable steel cans for extended shelf life (and they're also cheaper per ounce when purchased in bulk). What follows are supplemental nutrition packs which provide high-density nutritional supplementation and food basics. Note: These are not "full meals," as you will need protein sources and additional carbohydrates from other sources. What these packs provide is the high-density nutrition that virtually all storable meals are missing. The larger packs also provide quinoa, brown rice, and spelt which can all be used to make high-quality meals. Nearly all products listed here are certified organic. This combo pack will allow one person to consume the following each day: A superfood powder (add water and shake or blend), 3 or more high-density superfood supplements, meal basics such as quinoa, and multiple servings of super food snack and ingredients such as nori, chia seeds, sacha inchi oil, Himalayan salt etc. Nearly all items are certified organic. 1x Himalayan Crystal Salt 1 lb. This combo pack will allow two people to consume the following each day: A superfood powder (add water and shake or blend), 3 or more high-density superfood supplements, meal basics such as quinoa, brown rice, whole wheat pasta, and multiple servings of super food snack and ingredients such as Boku Super Food bars, chia seeds, Himalayan salt, etc. Nearly all items are certified organic. Refrigeration is recommended for items not packed in steel cans. This combo pack will allow two people to consume the following each day: A superfood powder (add water and shake or blend), 3 or more high-density superfood supplements, expanded servings of meal basics such as quinoa, brown rice, whole wheat pasta, and multiple servings of super food snack and ingredients such as Boku Super Food bars, chia seeds, Himalayan salt, etc. Nearly all items are certified organic. Refrigeration is recommended for items not packed in steel cans. Sacha Inchi Oil is the most potent source of health-enhancing omega-3 oils from the world of plants. Omega-3 fatty acids are crucial for supporting healthy skin, healthy blood and a healthy brain. Fish oil products go rancid more quickly than plant-based oils, so this oil is perfect for long-term crisis planning. Himalayan Pink Crystal Salt provides a full-spectrum salt that's loaded with trace minerals your body craves. Hand-mined from a salt cave, this salt not only provides crucial nutrition which allows your body to retain water, it's also a fantastic barter item. Remember: In a collapse scenario, salt will be hard to come by! Chlorella is a super-potent microalgae that's loaded with chlorophyll and even contains Chlorella Growth Factor (CGF), a nutrient that's renowned for its health supportive properties. Chlorella is a complete food, containing proteins, vitamins, minerals and even trace amounts of fatty acids. Remember in Lord of the Rings when the hobbits ate that magical Elven bread to keep them alive on their journey? Chlorella is probably the closest thing to that in our modern world. Coconut sugar is a low-glycemic sweetener that's loaded with natural minerals (which is why it's brown). It's a favorite sweetener for those concerned about blood sugar levels, and in a crisis situation, it provides the comfort of sweet tastes without the diabetes-inducing properties of refined white sugar. This will also be a super popular barter item, as it will no doubt be impossible to get in a crisis. Maca is the ancient superfood of the Incas (http://www.naturalnews.com/028782_maca_Incas.html). It's a powerful energy and stamina booster, but without undesirable stimulants like caffeine. Maca is a rich source of plant sterols, which offer a variety of beneficial health properties. It's about 10% protein and some people just swear by its ability to boost performance. This powder is usually blended into drinks, and it goes great with chocolate smoothies. Camu Powder is the highest natural source of full-spectrum vitamin C. Deficiency in this vitamin, as everyone knows, results in symptoms of scurvy. Vitamin C cannot be made in the human body and must be derived from dietary sources. Our camu is 100% wild crafted from the Amazon rainforest. Rejuvenate Berries & Herbs is a high-RNA, high-DNA great-tasting superfood formulated by Dr. Hank Liers. It has remained one of my top-recommended superfoods for several years, and it provides a wide assortment of selected nutrients to promote cellular healing and proper function of all body systems. Extremely nutrient rich. Boku Superfood is a super potent combination of the very best superfoods in the world, including microalgae, ocean kelp, kale, maca, a health-enhancing mushroom blend, a super berry blend (with Goji, Hawthorn and more), digestive enzymes and much, much more. This is probably the best "all-in-one" high-density superfood supplement you'll find anywhere. It does NOT contain protein, by the way, so it's not a "meal" powder like some others. This just provides the super high-density plant nutrition from the world's best superfoods, while relying on you to get protein sources from elsewhere. We've got this available in sealed steel cans for long-term storage. They may seem expensive, but ounce for ounce, this is actually the best deal in the world on Boku Superfood. Vitamin D is a lifesaving nutrient you simply MUST have on hand as a crisis nutrition item. This vitamin prevents cancer, diabetes, depression, osteoporosis and much more. It also boosts immune function and even helps protect you from the flu and other infectious disease. We don't sell this nutrient, but we recommend the Solgar Brand of 10,000 IU vitamin D softgels. You can find them online or at most health food stores. Health Ranger Storable Organics are long-term storable superfoods sealed in #10 cans with oxygen absorbers to maximize shelf life. 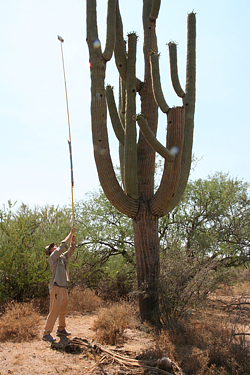 The Health Ranger harvests Saguaro cactus fruit in the desert of Arizona. The Health Ranger harvesting cacao pods in Ecuador. The Health Ranger harvests a giant aloe vera leaf in Ecuador. 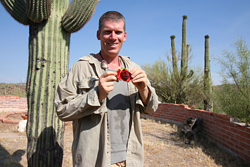 The Health Ranger with a guava seed pod found in Ecuador.